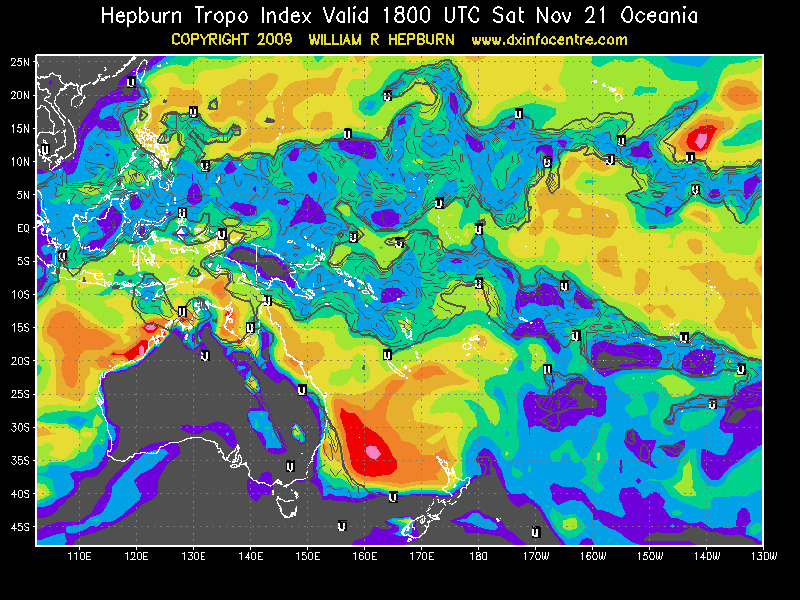 Some excellent tropo conditions are predicted to run at least until Sunday. I will be running 2m WSPR for as long as I can. I will be mobile Sunday and Monday when the best conx to ZL exist but hopefully some VK4 or VK8 coastal stations will give it a go.